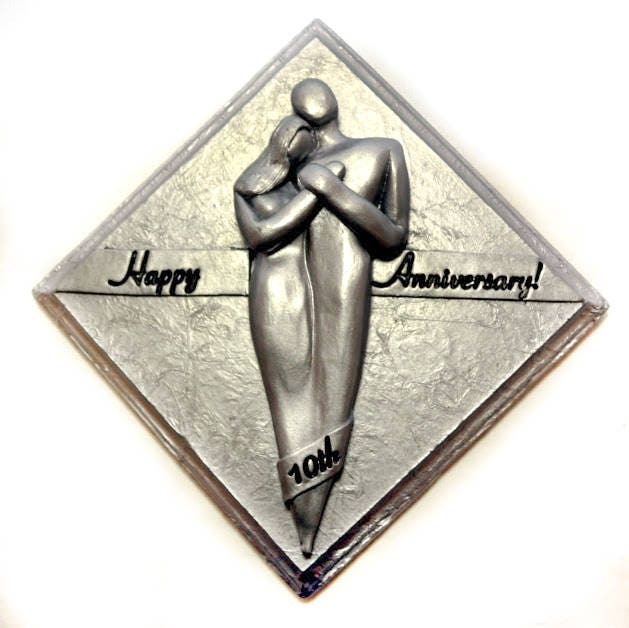 This 10 Year Anniversary Gift Plaque that features the happy couple celebrating 10 years of love is the perfect piece of traditional, yet modern anniversary artwork to your husband or wife. This also makes a great gift for family or friends who are celebrating a decade of love! It would look great next to the couple's wedding photos on a desk or hanging on the wall. 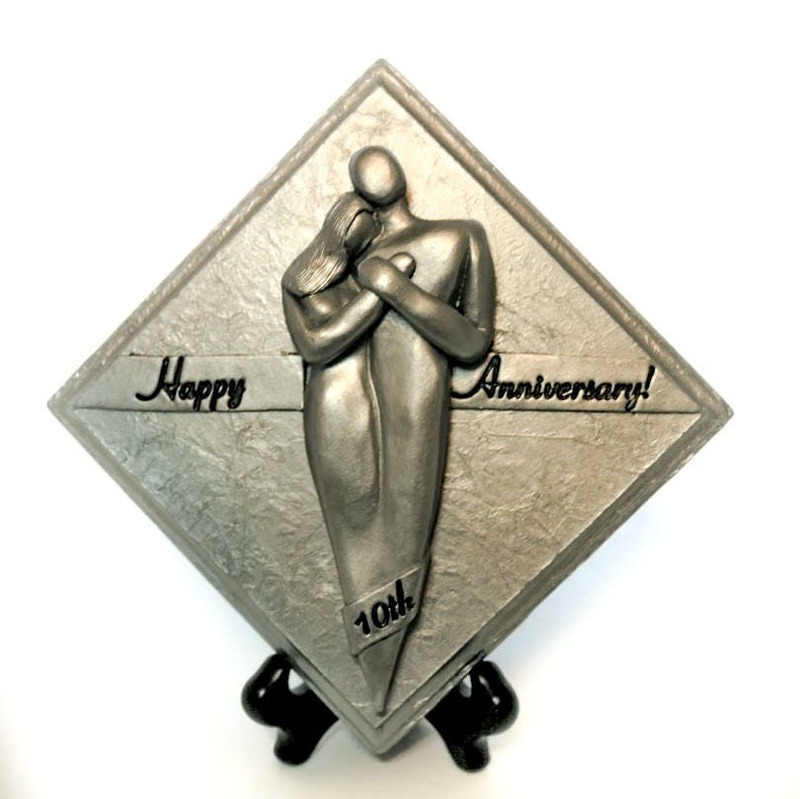 This 10th Wedding Anniversary Plaque is cold cast aluminum. It is a diamond shaped plaque that measures 7" on the sides and top-to-bottom or across the plaque. The plaque does not come with an easel but it does come ready to hang on the wall. I sculpted the original design out of clay. Then I made a mold of the original sculpture. Finally, I cold cast the aluminum and finished it with a metal coating. It may take two weeks to cast the aluminum anniversary plaque. However, I usually have one in stock ready to ship for the last minute anniversary shoppers!